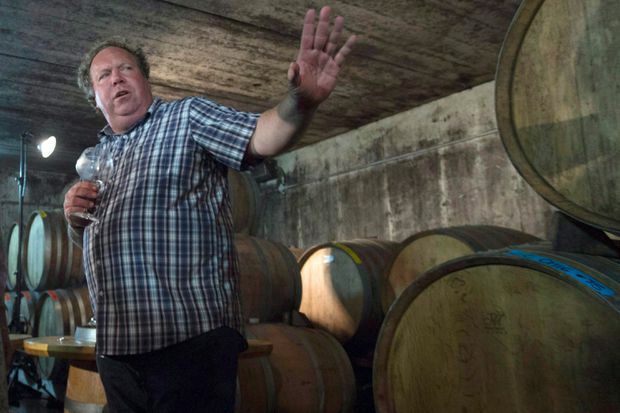 The Ontario liquor board’s decision to resume sales for a winemaker facing widespread allegations of sexual misconduct is drawing scathing criticism from some of Canada’s most prominent food-industry voices, with many demanding to know who made the decision and why. An internal Liquor Control Board of Ontario e-mail this week said the Crown corporation will soon receive new shipments of Norman Hardie wines – less than six months after The Globe and Mail published allegations of sexual misconduct from more than 20 people, which resulted in the LCBO halting orders of the wines and restaurants across the country pulling them from menus. On Wednesday, a large chorus, including well-known restaurateurs, called the decision to again stock the wines a “slap in the face” of victims. “It just makes you feel so small,” said Heather Bruce, a former employee who told The Globe in June that Mr. Hardie groped her twice. "It makes you feel like you don’t matter. " David McMillan, co-owner of Montreal’s Joe Beef, called the LCBO’s decision “destructive, inappropriate and appalling. It’s disgusting.” He demanded to know who made the decision. “The person should have a name and this person should be held accountable." The LCBO declined to answer. The internal e-mail was written by vice-president of retail operations Rafik Louli. Mr. McMillan was formerly friends with the Prince Edward County winemaker, but severed ties after hearing of the allegations. One of the other two women who accused Mr. Hardie of unwanted sexual contact was a former employee of Mr. McMillan’s. Eighteen other people told The Globe at the time that they witnessed sexual harassment. In the immediate aftermath of the allegations, Mr. Hardie publicly apologized, saying “some of the allegations made against me are not true, but many are.” He’s also cited an independent review of the winery he said found no instances of sexual harassment. Since then, he has not provided specifics or details on what changes have been made. The three women told The Globe that Mr. Hardie has not reached out to them to apologize. At the time of the allegations, restaurants and government bodies across the country, including Quebec’s SAQ, Alberta’s AGLC and the LCBO, pledged to halt new orders. In reversing its decision this week, a spokesperson at the LCBO did not offer an explanation beyond saying it had conducted a “careful review." An unnamed spokesperson declined to comment further on Wednesday. But Ms. Bruce questioned the extent of this review. Nobody has reached out to her, she said. “What investigation did the LCBO do? Who did they talk to?" Across the country, every other restaurant and retailer that told The Globe it had pulled Hardie wines in the immediate aftermath said the wines remain off their list. This includes SAQ and AGLC, along with restaurant chains Joey, Oliver & Bonacini (O&B), The Drake Hotel properties, the McEwan Group, Chase Hospitality Group and Wilder and Rose. Anthony Walsh, the executive chef at O&B, was also formerly friends with Mr. Hardie. But he described Mr. Hardie’s behaviour as outlined in the allegations as “medieval." “There’s a certain position that I’m in, and there’s a stance that is morally and professionally the appropriate step to take,” he said. “This is collectively [the restaurant industry’s] stance, and we’ve locked arms,” he said. Many of the restaurateurs said the LCBO’s decision sends the wrong message to victims. The LCBO is “not respecting the women who have said that he has mistreated them," said Barbara Irwin, the co-owner of Monkland Tavern in Montreal. “It just feels there’s no retribution for the victims here," said Grant van Gameren, who owns restaurants and bars across Toronto including Bar Raval. “To my knowledge, Norman Hardie has not taken what I would consider adequate steps to address the accusations and take responsibility." “To specifically ask their employees to refrain from commenting suggests they know how insidious this all is,” she said. On Wednesday, Ontario Finance Minister Vic Fedeli, who the LCBO reports to, said the decision was the Crown corporation’s alone. “They make all of their own shelving and stocking decisions," he said. But the Ontario New Democratic Party deputy leader Sara Singh said that wasn’t enough. The LCBO’s actions “are the sort of behaviour that makes victims feel like they’re to blame when they come forward," she said. “It’s not the right direction for a Crown Corporation, and I do hope our Premier will step up and advise on a more appropriate course of action."